Honda says its 2017 Clarity EV, due to hit showrooms in California and Oregon August, will lease for $269 a month. Clarity EV lease terms include allowance for 20,000 miles a year – generous for an EV lease – and 24/7 roadside assistance. The $7,500 federal tax credit for EVs belongs to Honda but has been used by the company to pay down the cost of the lease, so the consumer still gets the benefit. In California, 2017 Clarity EV lessees also will qualify for a $2,500 cash rebate from the state’s Clean Vehicle Rebate Project. The state plan, supported with proceeds from state carbon credit auctions, also has low-income household provisions, boosting the cash rebate for an EV purchase to $4,500 for households with annual incomes no greater than three times the federal poverty limit. 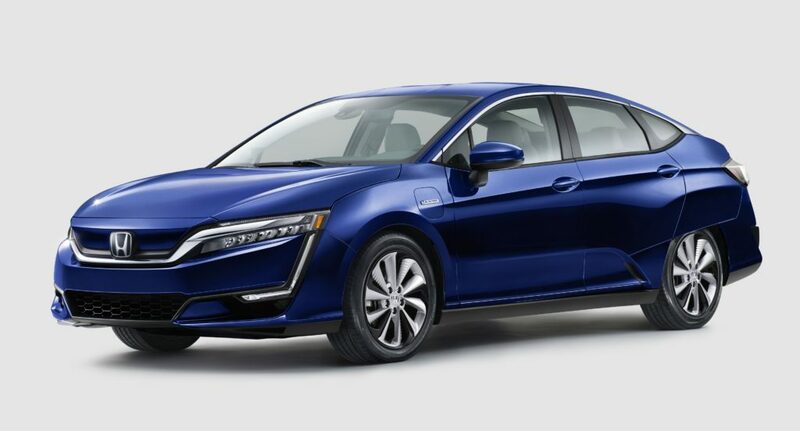 Honda’s Clarity EV is one of the midsize sedans that share the same model name and basic design but have different powertrains. A Clarity FCEV, or fuel-cell electric vehicle, was released on a lease-only basis in select California markets later last year and a 2018 Clarity PHEV, or plug-in hybrid vehicle, is scheduled to be released later this year as a 50-state car. Honda initially is limiting the Clarity EV lease (it won’t yet sell the car outright) to select markets in California and Oregon where a healthy public EV charging network exists (and also because it prefers hydrogen fuel-cell technology to battery electric drive systems and likely isn’t making much – if any-profit from the EV so doesn’t want to push out any more than it needs to satisfy California’s zero emissions vehicle requirements, which give it credit in California for qualified EVs sold in certain other states). The initial cost to get into a Clarity EV lease includes a down payment of $1730 plus the first month’s lease payment, registration, taxes and whatever fees the leasing entity can tack on. The Clarity EV uses a 161-horsepower electric motor and single-speed transmission, delivers a maximum 261 lb-ft of torque and draws electrons from a grid-rechargeable 25.5 kWh lithium-ion battery pack. Charging time for a depleted battery pack is slightly more than 3 hours with a properly sized Level 2 (240-volt) system. The EPA has rated the 5-passenger Clarity EV at 89 miles of range per charge, with fuel efficiency estimated at the equivalent (33.4 kWh of electricity = a gallon of gasoline) of 126 mpg in the city, 103 mpg on the highway and 114 mpg combined.